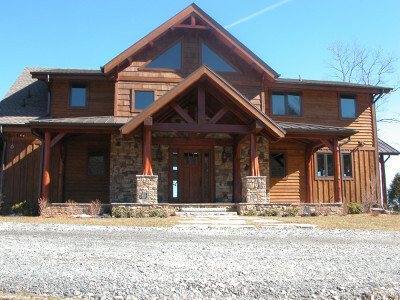 Adirondack, Craftsman Style and Rustic hand crafted homes using the natural beauty of wood to create a unique home are sources of inspiration to us. There is a great tradition of building Natural Element homes in the Historic communities around Linville, Blowing Rock and Grandfather Mountain in Western North Carolina and Eastern Tennessee. 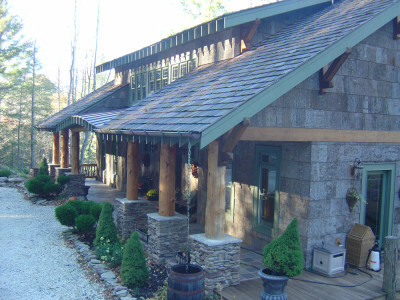 Mountain Construction Enterprises, Western NC Builders, makes a connection between art and nature in our custom home designs. We want to ensure that the unique designs we build complement the character of the communities where we build. The wood elements we use in the homes inspire a connection between man and nature. We build with wood, stone and other natural elements. By using structural insulated panels and other green technology we can be environmentally friendly as well. The Arts and Crafts Movement began partly as a revolt against the social consequences of the industrial revolution and also against the proliferation of Victorian age mass-produced furniture whose design and execution was controlled by machinists and industrialists, rather than artists and craftsmen. This construction style encourages simple designs and the use of natural materials. We have built several homes that embrace the philosophy of this movement, using lots of exposed wood, poplar bark siding and natural stone to create a home that can provide a peaceful escape from a hectic lifestyle. Early builders of of Adirondack homes and furniture used the materials they had at hand: birch, cedar, maple, and other trees. The tree bark, roots, trunks and limbs were the raw materials for building. 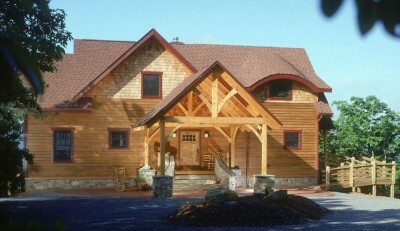 Adirondack style architecture is very uniquely influenced by Swiss and Scandinavian building as well as the Arts and Crafts movement. However, the main influence is nature. 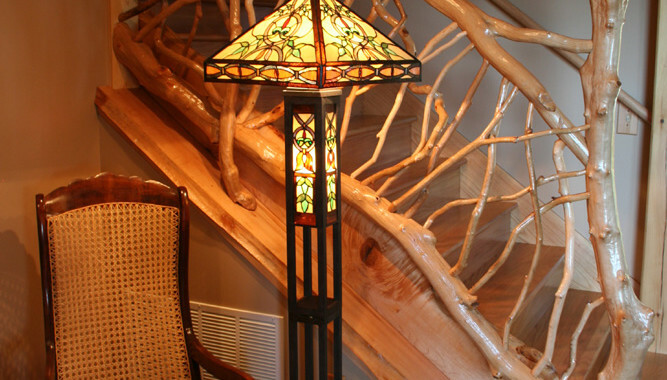 Founded by brothers, Greene & Greene architectural firm defined American arts and crafts style. They created houses of exceptional craftsmanship and refinement. All the houses were notable for their articulated surfaces and oriental sensitivities. Informal and regionally relevant, these homes exhibit the handmade detailing and respect for materials characteristic of the arts and crafts works. The brothers typically used wood members, overhanging roofs and eaves, sleeping porches, and spacious interiors.